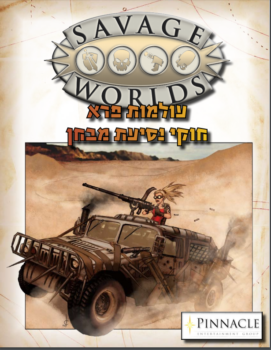 All the most important tables, reference charts, and a summary of the Combat Options and Situational Rules—plus amazing art selections—from Savage Worlds Adventure Edition! 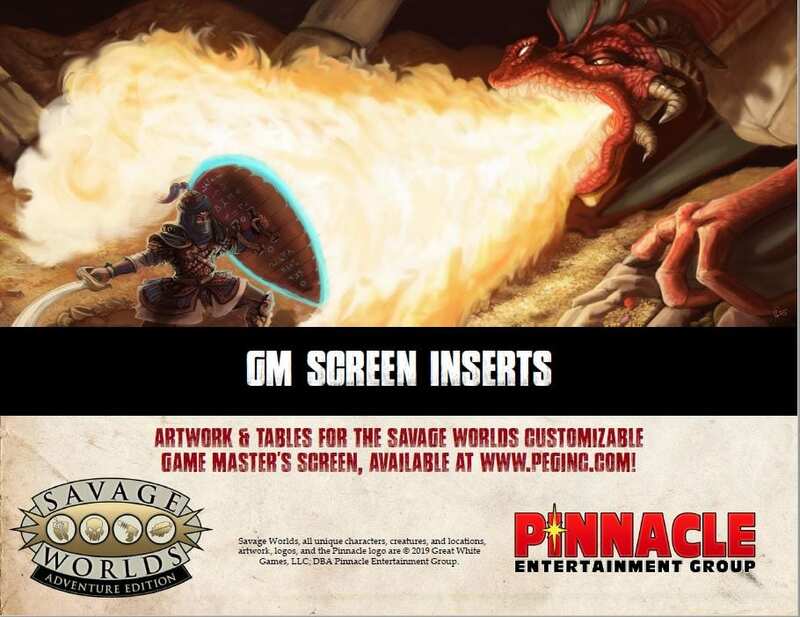 This file was designed to work with the Savage Worlds Customizable Game Master’s Screen, available at www.peginc.com or through your local game store. The Customizable Game Master’s Screen is an awesome three panel, tri-fold, vinyl screen and can be used for any of our many settings quickly and easily just by changing the inserts on the front player’s side or the back Game Master’s side. You have our permission to print this entire document for your own personal use. 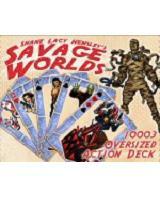 Looking for Savage Worlds GM Screen + Mini Settings in Print? We recommend you preorder using PledgeManager.com until July 16, 2019. 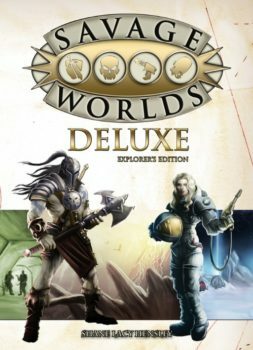 This gives you the best rate for shipping (especially for non-United States locations) and you will receive your copy before retail release. After completing your order for a physical copy at PledgeManager, email site.admin@peginc.com for a complimentary copy of the PDF. 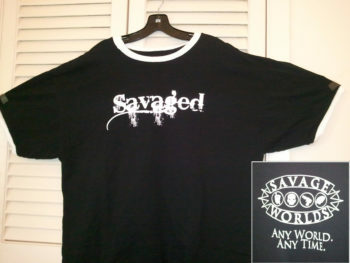 Click the image below to go to that website now!